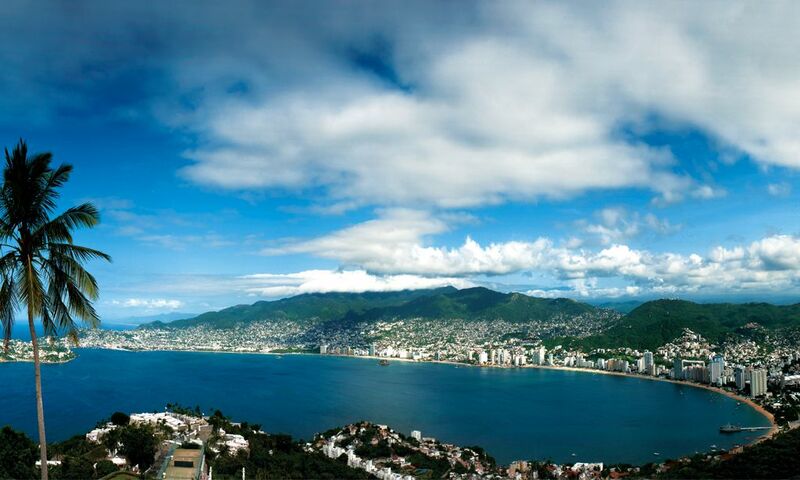 The Port of Acapulco is one of the most traditional and oldest beach destinations in Mexico. Its tourism growth is due to the magic that surrounds its sands, its streets and its special romanticism between the 1940s and 60s that attracted numerous celebrities and Hollywood legends like Elizabeth Taylor, Johnny Weismueller, John Wayne, Gary Cooper, etc., who fell in love with this dreamy port during what is known as the golden age of Acapulco. Before becoming a major tourist destination Acapulco was the point of departure in the expeditions of Hernán Cortés with goods from the east arriving on its shores. It was in 1945 when construction of the Acapulco-Mexico City highway was finished that the boom began for this destination and then later in 1964 with construction completed at the Acapulco International Airport it became the international jet-set destination par excellence. It was between 1950 and 1970 that the hotel and commercial infrastructure of Acapulco developed, thanks to its proximity to the capital of the country and by the preference of international tourism. The magic and beauty of its shores have ensured it as a destination port of the country. Its skyline is also considered one of the best in Mexico since within the city you can see more than 100 buildings ranging from 40 to 123 meters in height. Among the attractions of Acapulco is the sale of handicrafts such as wooden masks, metalwork, metates or grinding stones, mortars, handicrafts made from palm leaves, precious wood furniture and copper and bronze figures among others. Acapulco has the Papagayo Park, a large ecological reserve that houses three artificial lakes and a wide variety of exotic animals. As also with the El Veladero National Park it has an ecological reserve with an area of ​​over 3 acres. 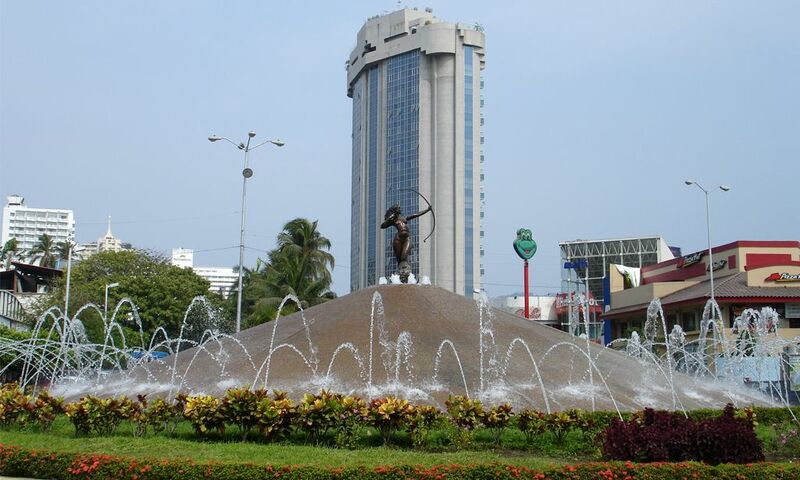 The fountain of Diana the Huntress is the landmark of the city as it is situated in heart of the port, which is surrounded by shopping centers, hotels and the renowned Condesa Beach. Acapulco is bordered to the south by the Pacific Ocean, the north by the cities of Juan R. Escudero and Chilpancingo, to the west by San Marcos and to the east Coyuca de Benitez. This destination is fully accessible by air, land, or sea. The Juan N. Alvarez International Airport of Acapulco is the air connection of the city with major domestic and international destinations. Cuernavaca-Acapulco highway, the Carretera del Sol (Highway of the Sun) (262 km) Federal Highway 95 Mexico-Acapulco (400 km), Highway 200, the southeast section Acapulco-Pinotepa Nacional (170 km), the northwest section Acapulco-Lazaro Cardenas (300 km). The International transatlantic port Teniente José Azueta, is the destination for cruise ships as well as containers and general cargo. For independent vessels Acapulco has the Acapulco Yacht Club. Acapulco is a tropical destination. Temperatures throughout the year range from a minimum of 23 ° C and a maximum of 38 ° C.
Being a beach destination it is essential to pack: swimsuit, sunscreen, insect repellent, flip flops, light clothing as shorts, tank tops, sandals, hat. 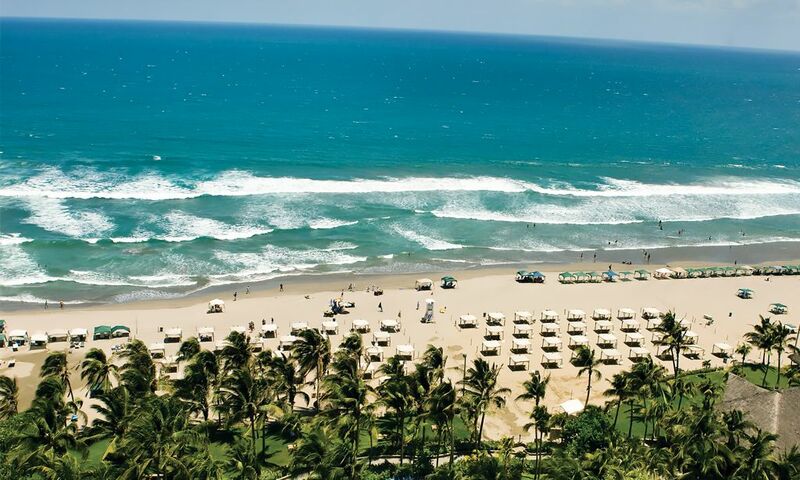 What to do in Acapulco? Land and water sports: Scuba diving, snorkeling, rafting, bungee jumping, tennis, golf, bowling, beach volleyball, water skiing, fishing, wind surfing, Jet Ski, banana boat rides, and parachute rides. Boardwalk, La Quebrada and its cliff divers, Roqueta Island, Symphony of the Sea and its cliffs, The Virgin of the seas, La Casa del Viento (the House of the Winds) with Diego Rivera murals, Cathedral of Our Lady of Solitude, Ecumenical Chapel of Peace. Puerto Marques, Pie de la Cuesta, Coyuca Lake, Tres Palos Lake, Black Lake, Barra Vieja Beach. Fort San Diego and Acapulco Historic Museum, Fortin Alvarez, Naval Historical Museum of Acapulco. Queen's Park and the Plaza of the Heroic Military Naval School, Papagayo Park, El Veladero National Park, Magic Marine World Theme Park, Palma Sola Archaeological Area. Moreover, Acapulco offers entertainment, relaxation, and recreation such as Spas, Beauty Salons and Massages, La Isla Shopping Mall, Ecological Safari, Domingo Soler Theater, Art Galleries, Nightclubs.